Brivity CRM is a real estate tool which allows you to manage and market your listings, while continuously communicating with your clients. To authorize Brivity, we need your email and password. 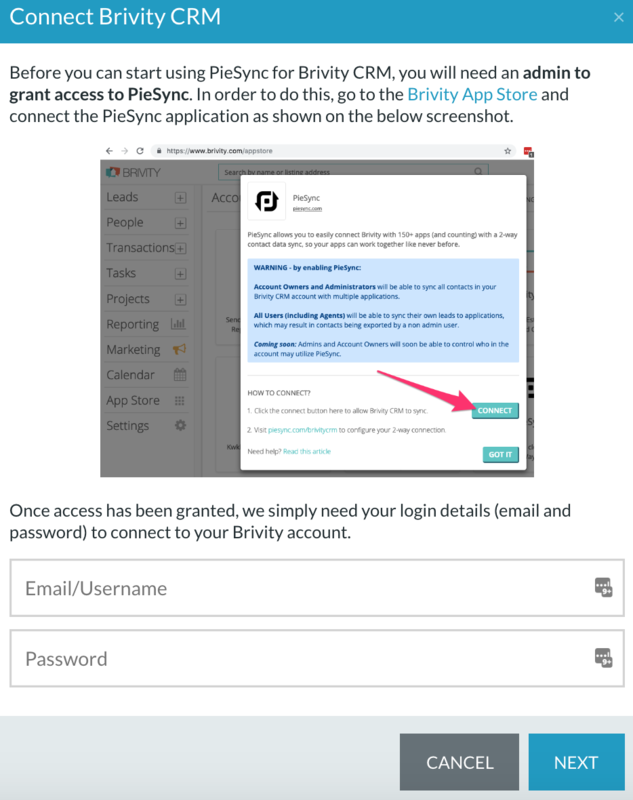 Make sure an admin grants access to Piesync through the Brivity App Store before the authorisation process. 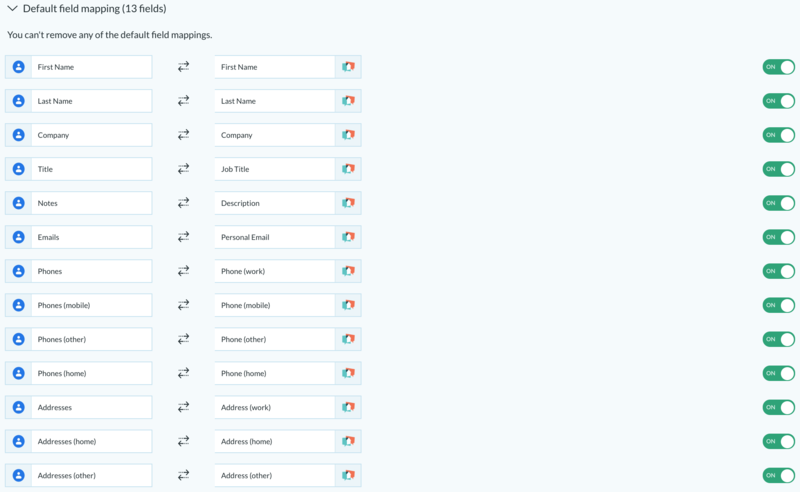 If you already authorized Brivity CRM account(s) in the past or in any other PieSync integration, you'll be able to skip the first part of the authorization and choose from your CONNECTED ACCOUNTS. 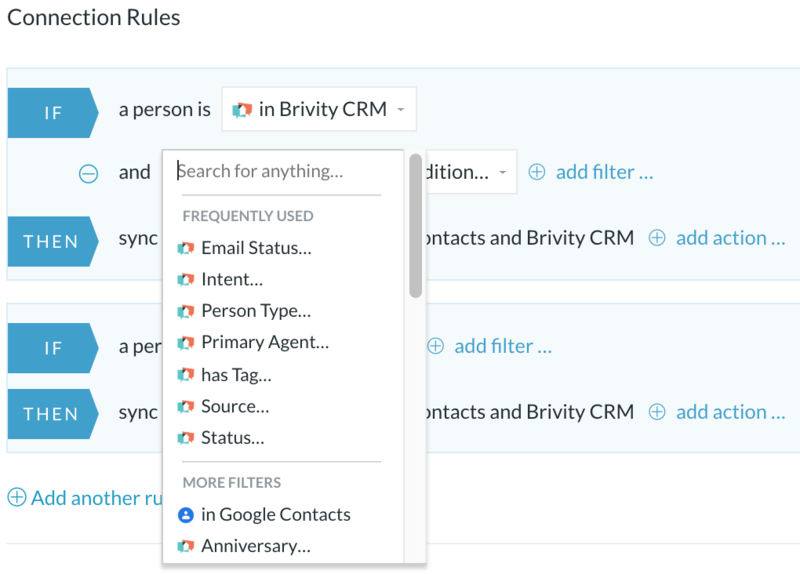 For now, we don't support Brivity CRM customizable contact fields. Therefore, you can only custom map any additional standard fields that aren't included in the default mapping yet. Bear in mind a mapping between two fields can only exist if the types of fields are compatible, and the particular compatibility will determine the direction of the mapping as well. More information on Customizable Field Mapping here. 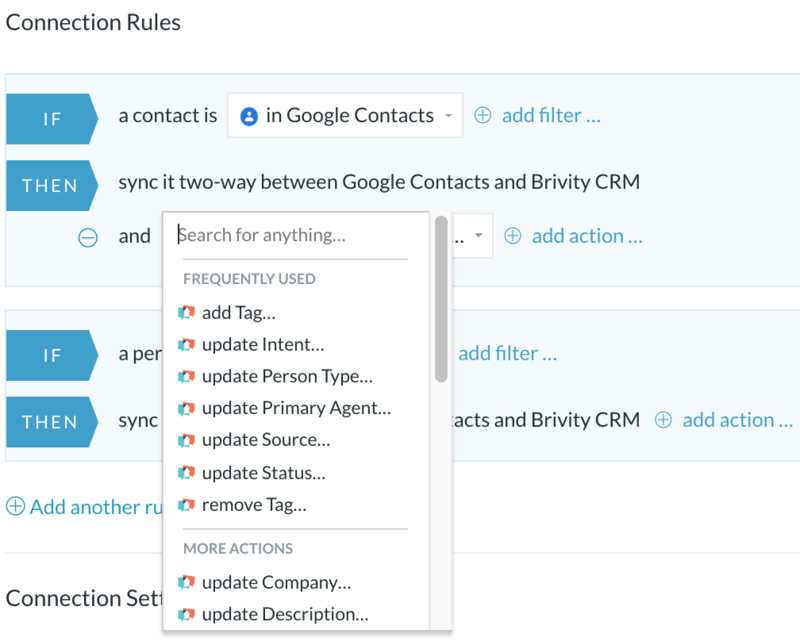 In connections between Google Contacts and Brivity CRM, you are able to sync deletions one-way. When a contact gets deleted in Google Contacts, we add the tag 'PieSync Trash' to that same contact in Brivity CRM. You will be able to review this segment first before deleting or taking any other action in Brivity CRM too. In connections between Brivity CRM and some marketing tools we support such as e.g. MailChimp, you are able to sync unsubscribes one-way. When a contact gets unsubscribed in your marketing tool, we add the tag 'PieSync Unsubscribes' to that same contact in Brivity CRM. You will be able to review this segment first before taking any action in Brivity CRM too.